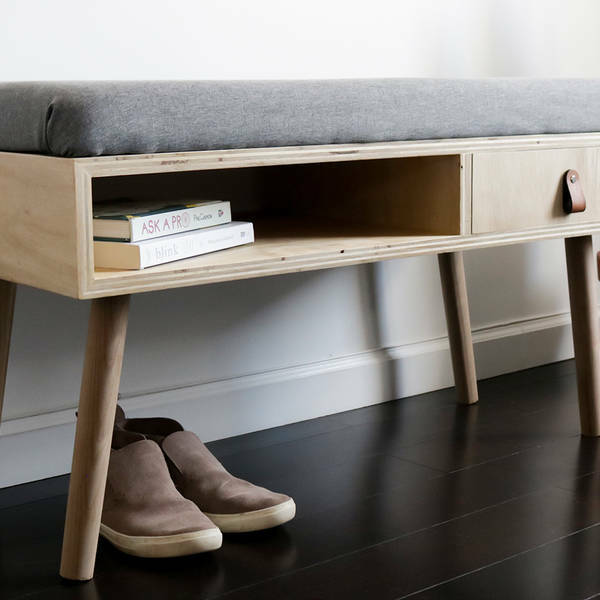 If your entryway is in need of sprucing up and extra storage, then this retro show bench is the perfect project! 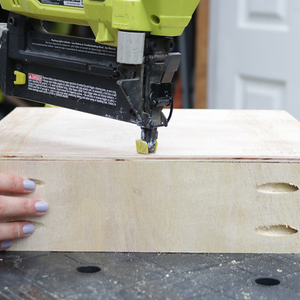 Make sure to download the PDF plans for the full cut list, materials list, and step-by-step project needed to build this project. 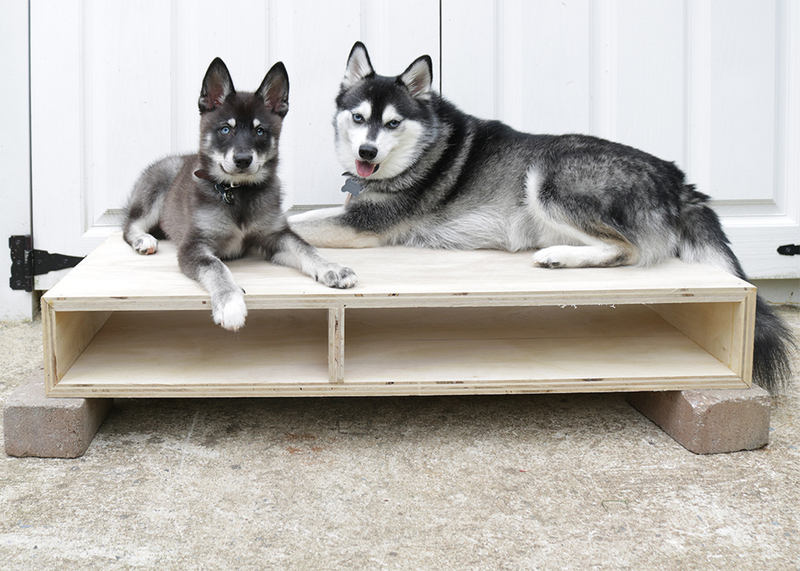 Download the full PDF plans for full cut list, dimensions, tools, and materials needed for this project. 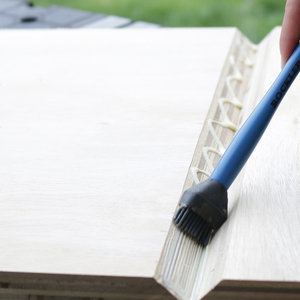 Cut your pieces - double check the PDF plans to find where to add your 45 degree bevels. 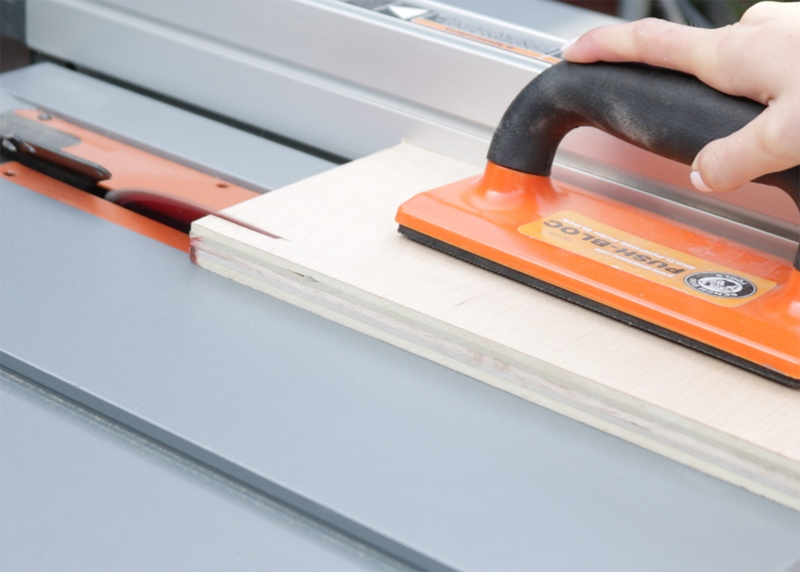 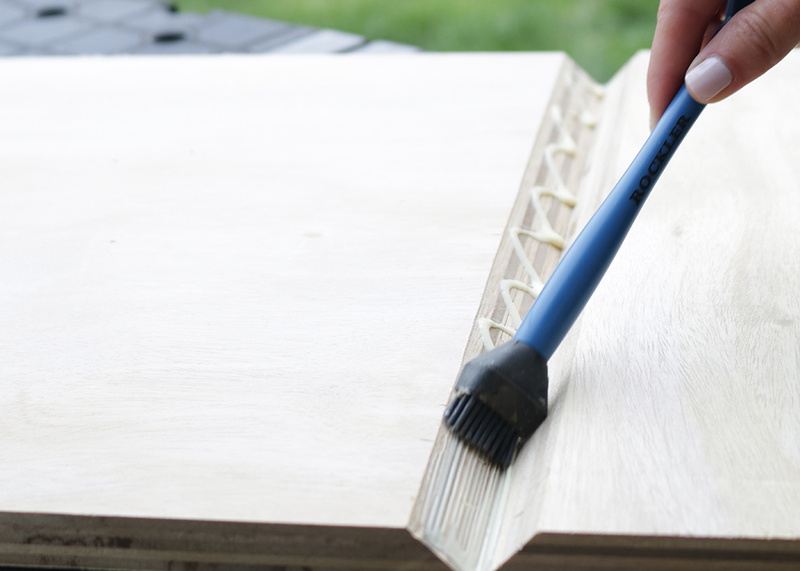 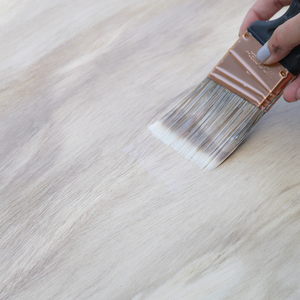 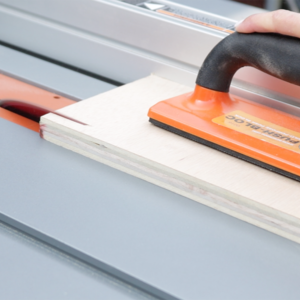 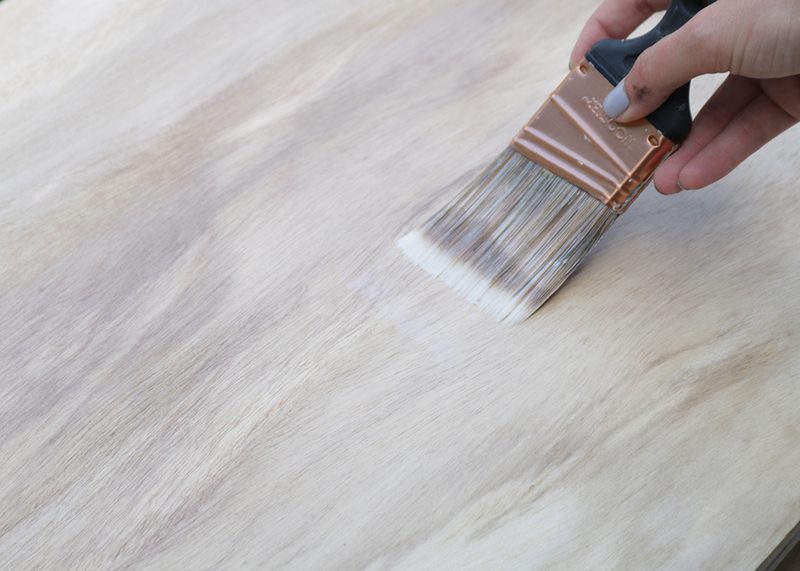 If you are choosing to bevel the edges of your bench, use wood glue, tape, and clamps to attach them together. 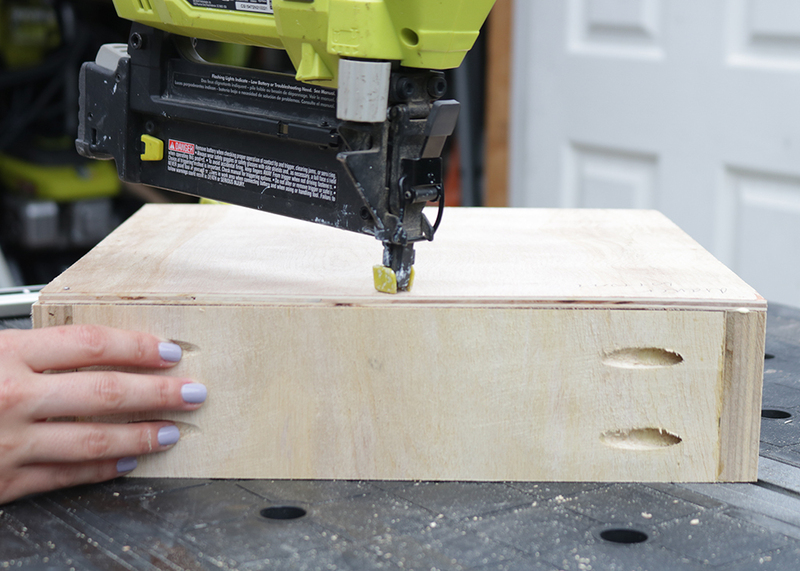 Use clamps to glue-up your bench. 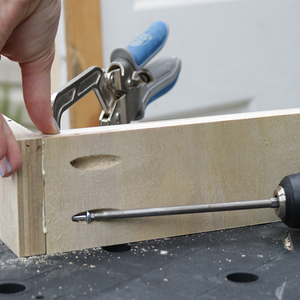 Add the center support to your bench with brad nails and glue. 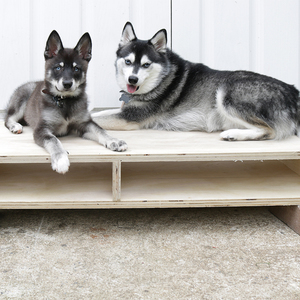 This will help with strength (optional, enlist the help of your best friends to do a strength-test)! 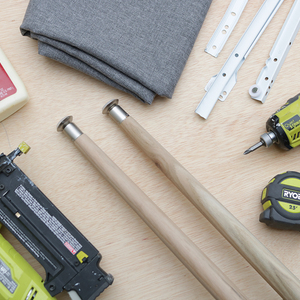 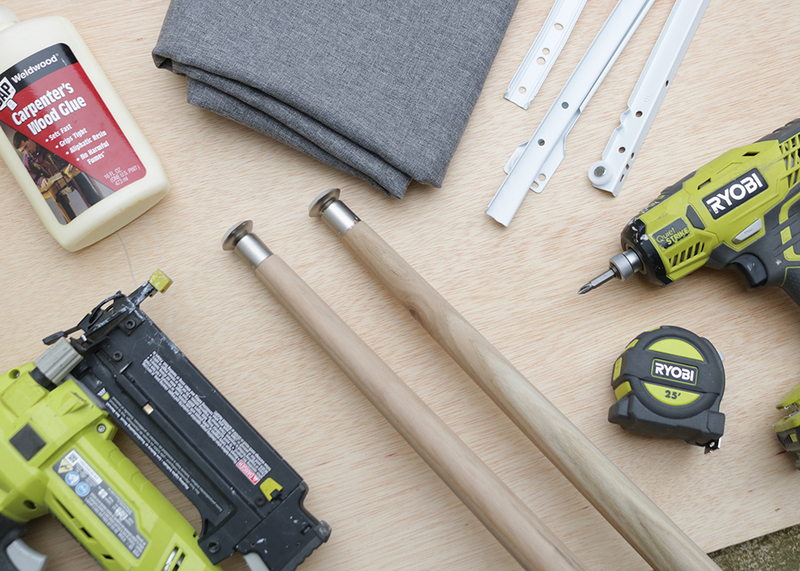 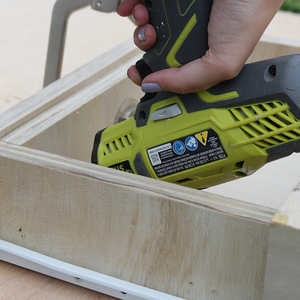 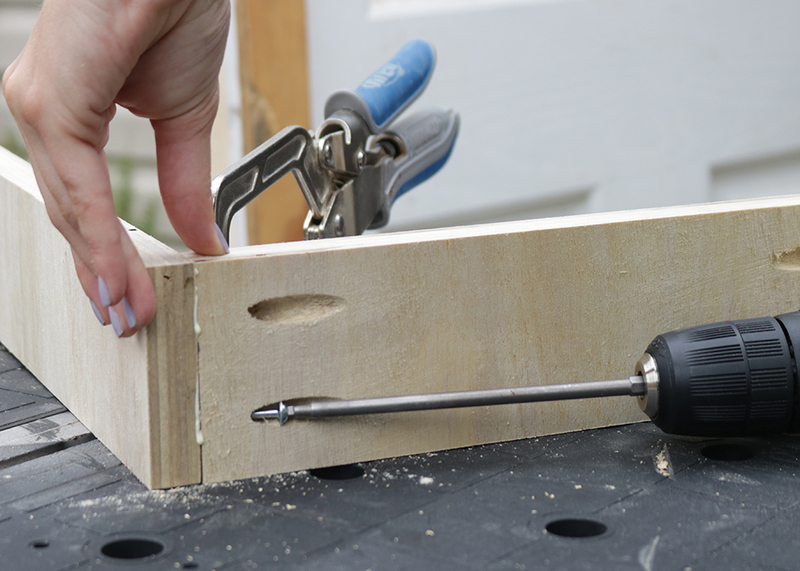 Build your drawer boxes with pocket holes, screws, and wood glue. 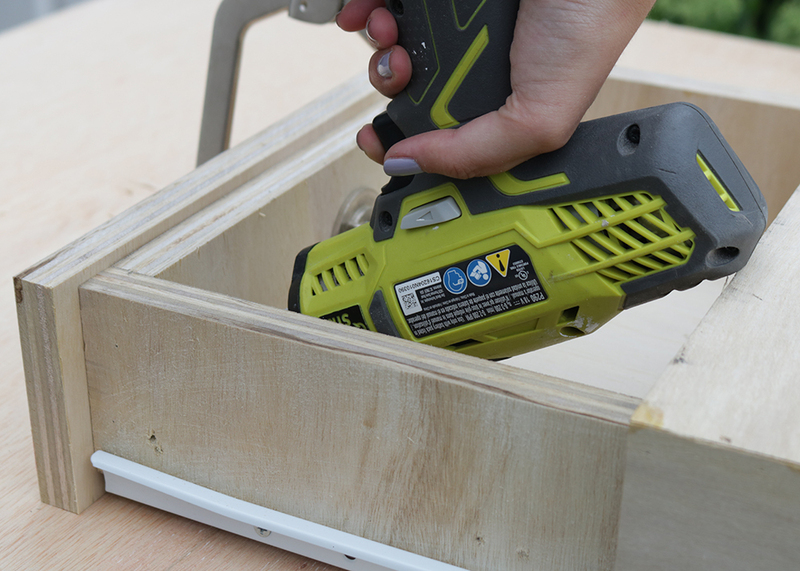 You may need to double check your drawer box dimensions based on the drawer slides you have chosen for your project. 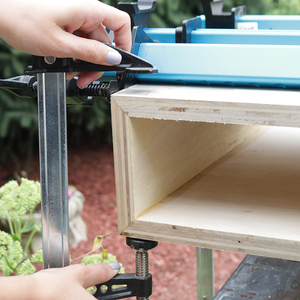 Add your drawer bottom with brad nails and wood glue. 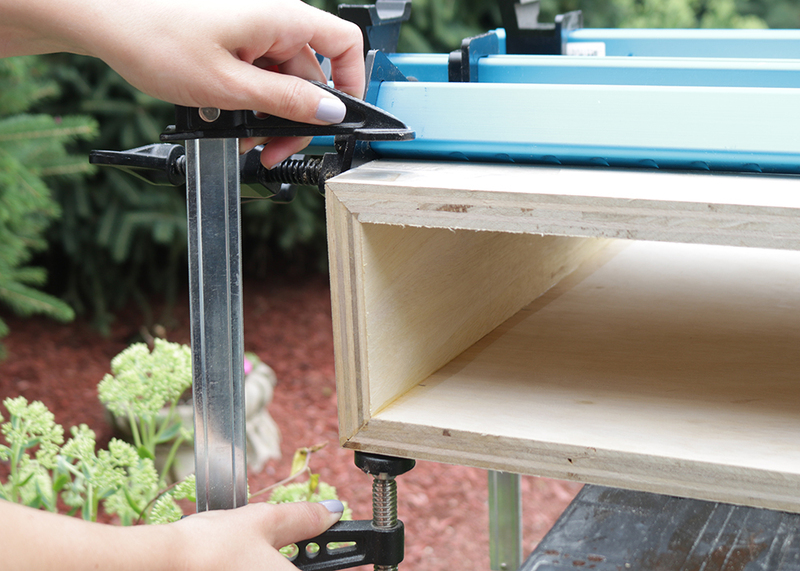 Install drawer box and slides into 13 3/4" opening between the bench side and support. 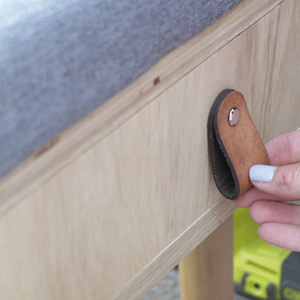 Make sure to leave a 3/4" space at the front of the drawer box for your drawer front to sit flush with the bench. 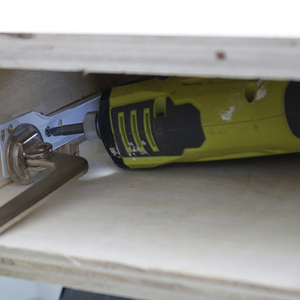 Attach drawer front to drawer box with wood screws from inside the drawer. 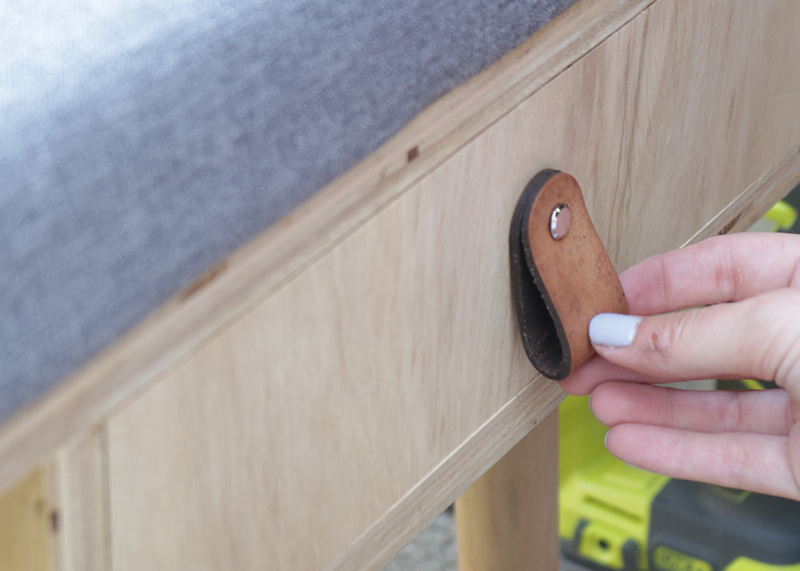 Attach drawer pull to drawer front prior to closing up the back of the bench. 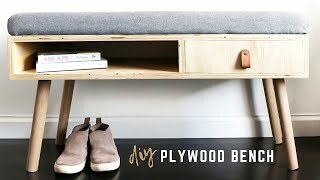 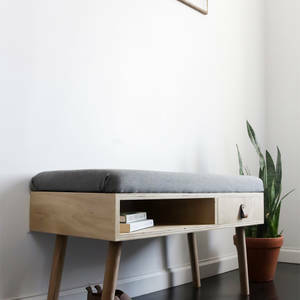 Sand & finish your bench prior to adding upholstery. 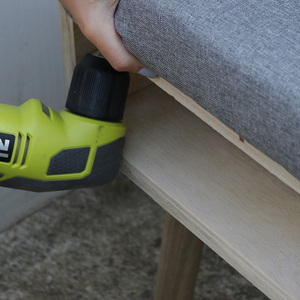 Create your upholstered seat with 3" foam, batting, and fabric. 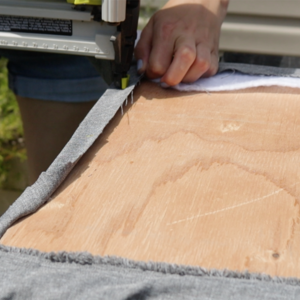 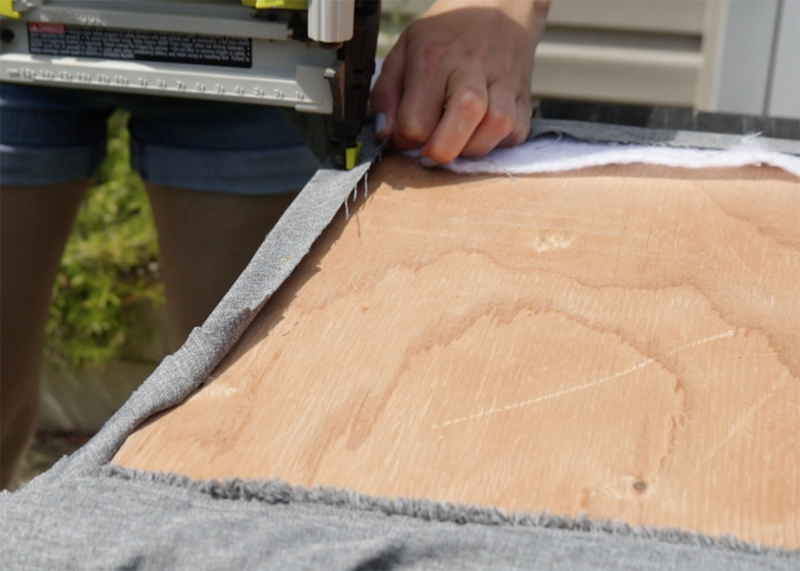 Add the foam to the 3/4" plywood seat panel with spray adhesive, and then add the fabric and batting with your stapler. 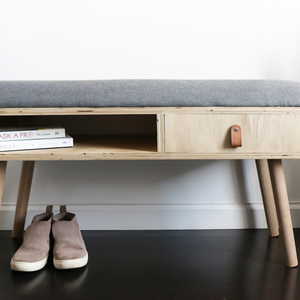 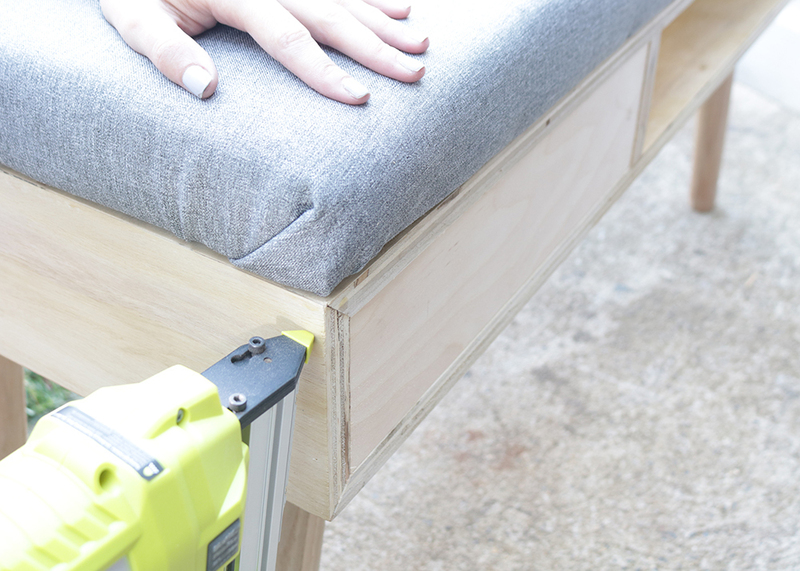 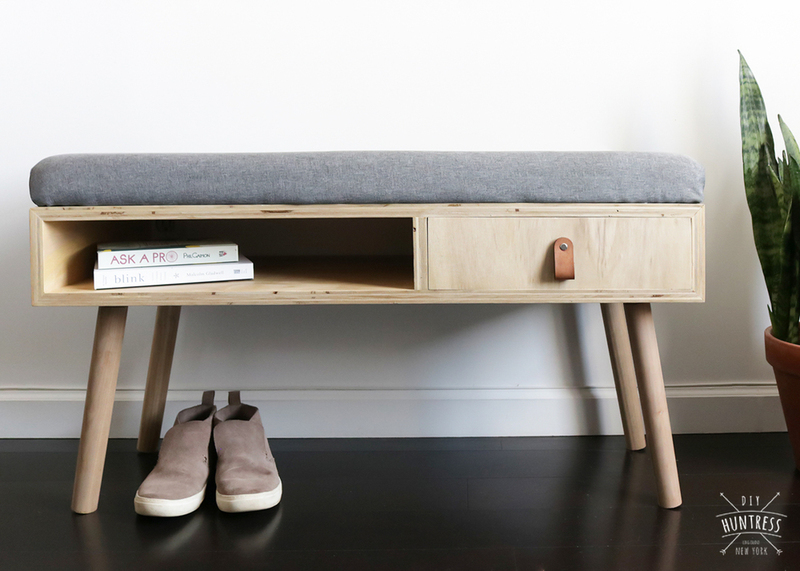 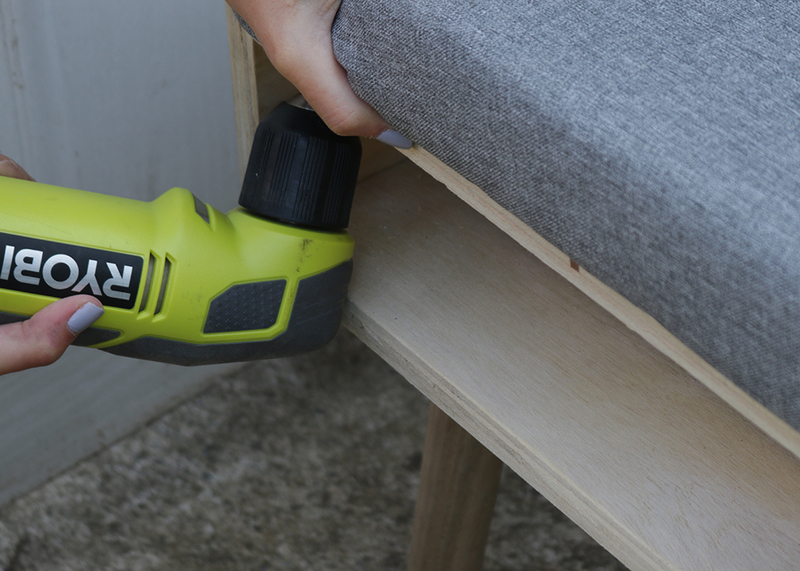 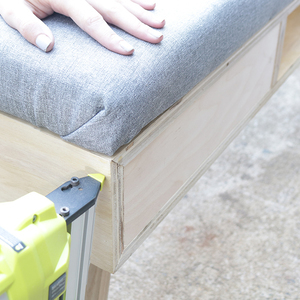 Attach your upholstered top to the bench with wood screws from the inside of the bench with a right angle drill. 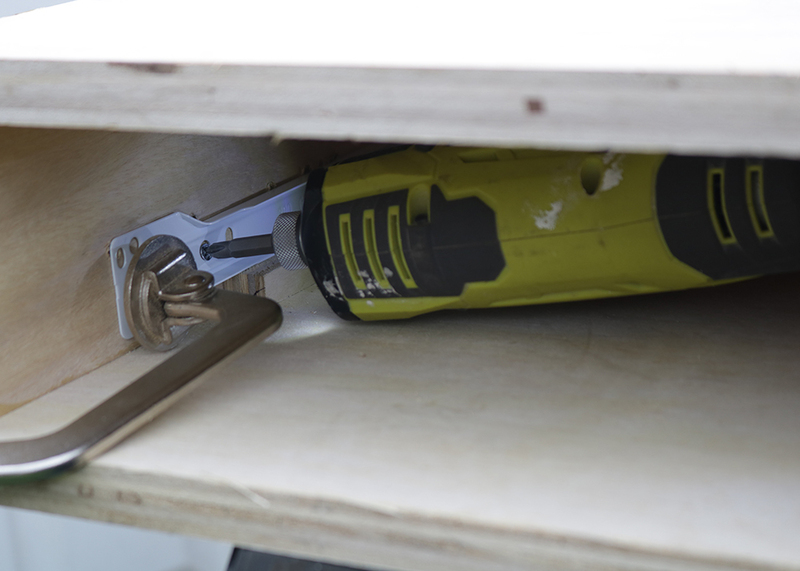 Attach back panel behind drawer opening with brad nails and wood glue.